LTHForum.com - New Haven pizza and Connecticut? 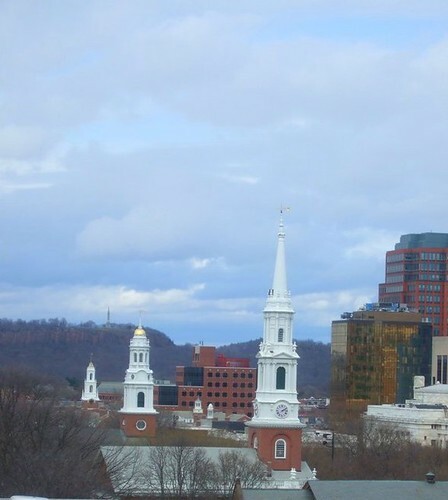 New Haven pizza and Connecticut? 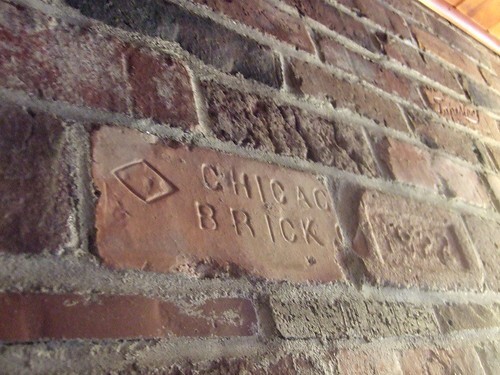 LTH Home > Chat > Beyond Chicagoland > New Haven pizza and Connecticut? love the clam pizza at Pepe's! The beloved Pepe's. I spent my final two years of H.S in CT and it was during those two years I developed my love for food I now have. I always loved the food in Chicago and all of its specialties but it wasnt until I went to school out east that I experienced how regional food is, everywhere you go in the US, there's something special. I was lucky enough to go to a diverse school and got to travel all around the east coast on weekends with friends and on sports travel and I remember the food the most. The pizza and the burgers in CT (Pepe's and Ted's made me love hunting down roadfood), the different hot dog's from every area I visited, the Jamaican/Haitian food in JAQueens, the Italian in Providence, the fried seafood in Mass, smoked meats in Montreal, deli's in NYC and on and on. FYI- I had many friends of Pequot descent from school and I like to keep an eye on their casino having spent plenty of time on the reservation and wandering around the casino into the early morning (Foxwood's-was the world's largest) and their competitor Mohegan Sun run by the Mohegan tribe (now the 2nd largest behind a prop. in Macau) and I read recently that Pepe's was named the first tenant of a new expansion at Mohegan sun and will be up in summer of 2010. 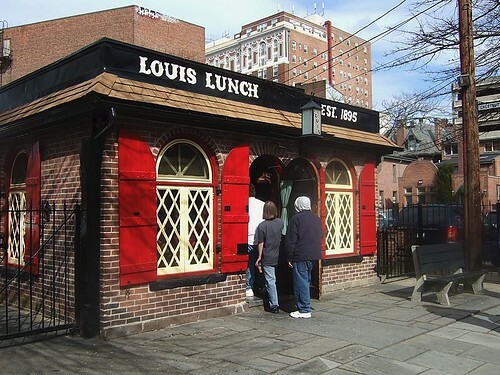 We headed straight to Louis Lunch, Est. 1895, where there was a modest line. We were unable to park in the adjacent lot, which was full even in the middle of a winter day. For visitors to New Haven, it is worth a fee to park there, since street parking is tougher than in Evanston. 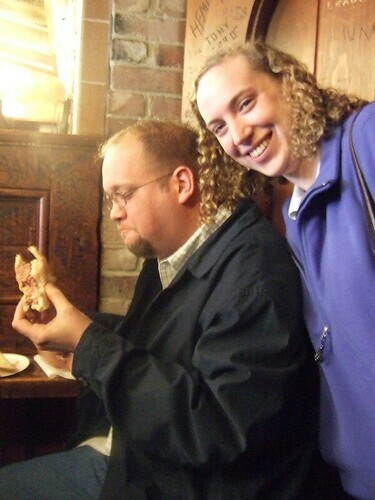 Here is a picture of Flip enjoying his burger and Mrs. Flip enjoying the moment. 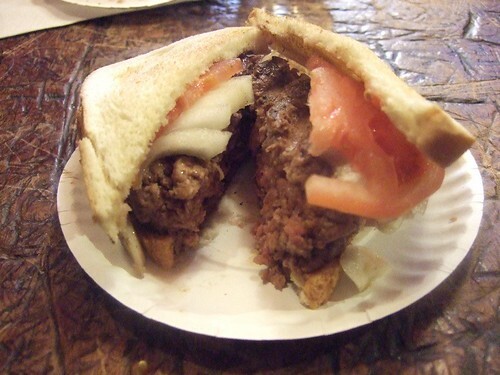 But there are certain consolations, such as eating a burger in the place claims to be America's very first burger joint, as originally conceived, on toast, with onion and tomato. No ketchup, no mustard, no pickle. It was an excellent dessert. How smokey does it get in there? I've always wondered becasue the burger cookers don't seem to be vented to the outside. We're going to Pepe's in Fairfield CT today at noon. White Clam pizza here I come! I don't recall any particular problem with that. I'm actually meeting Flip and Wendy today for a late BBQ lunch, so I will se what they remember. Perhaps there is a method to keep the grill cleaned out. 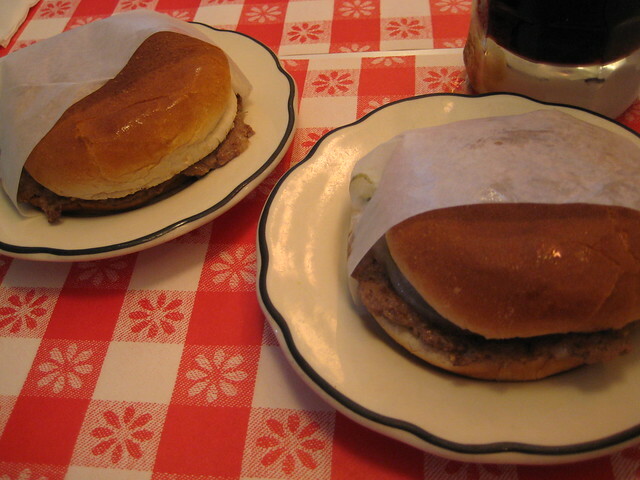 As you can see, the burgers are cooked as in a toaster, that is, with the heat coming from each side of the patty. We couldn't observe closely because the place was packed. I do recall, however, that this was one of the leaner burgers I've had. Perhaps that minimizes the smoke. mhill95149 wrote: We're going to Pepe's in Fairfield CT today at noon. White Clam pizza here I come! Lucky you, mhill95149! I will be curious to see your pics and to hear how the Fairfield location compares to the New Haven location. 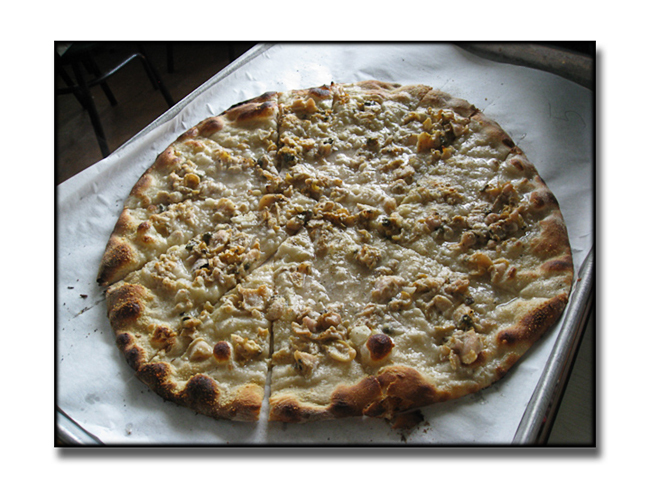 I recall wanting less garlic on the white clam 'za I had in Manchester, but that could just be me. Enjoy. The Clam pizza was not very good IMHO the clams did not taste very fresh. 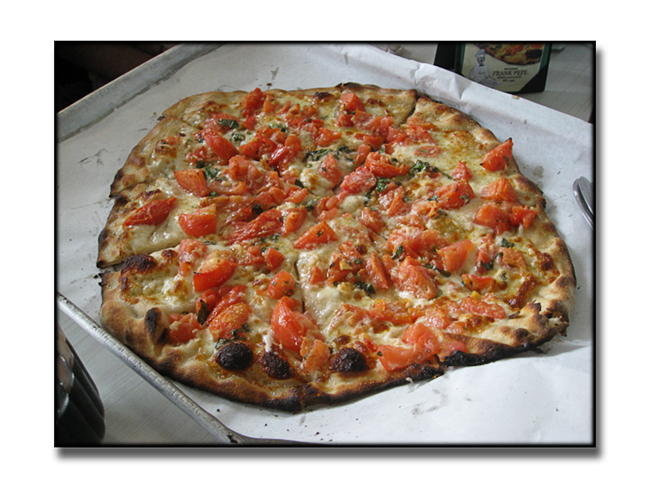 the Summer pizza with fresh tomato was great and made up for the clam pizza. Thanks for the pics. Sorry about the clams. I've wondered about the summer pizza. Gotta get me one of those for dinner tomorrow night. It's nice to live near Pepe's < 1 mile from my workplace. But I'd trade it for Spoon Thai and some LTH company in a heartbeat! I recently tried to hit Sally's or Frank Pepe's on a Friday night--with three very picky-eatin' kids who'd been crammed into a truck for hours on a roadtrip north to Maine. What was I smoking? The lines sent us away, and unfortunately, into the arms of a Friendly's up the road, where I was served a chicken-less chicken salad. On the return trip--with better planning, we thought--we tried to stop in for Saturday lunch. 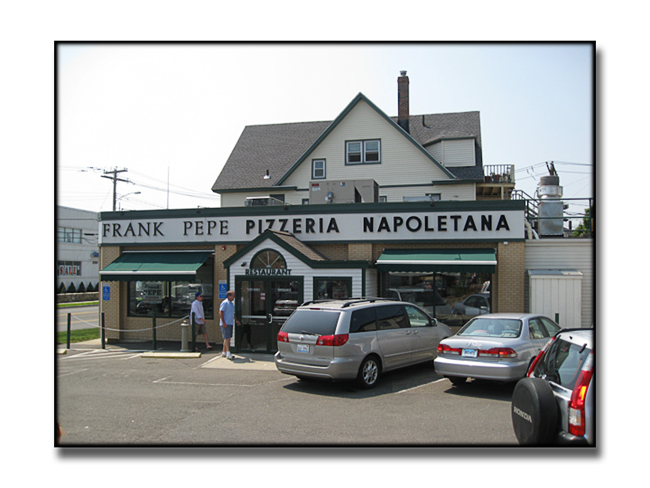 Sally's was closed, and the line was about the same at noon as it was at 8 p.m. at Frank Pepe. On the way to Wooster St, we passed by another Apizza joint, called Amato's--no line, looked kid-friendly, easy on/off to the highway--so we circled back. Very good decision. Amato's isn't Sally's or Frank Pepe, nor does it try to be. (Looking around at reviews afterward, it's compared to another place called Modern.) A broad menu of Italian-American classics, a very good pie, and an extremely friendly staff. Ordered the antipasto salad--very tasty smattering, and I loved the spicy eggplant. 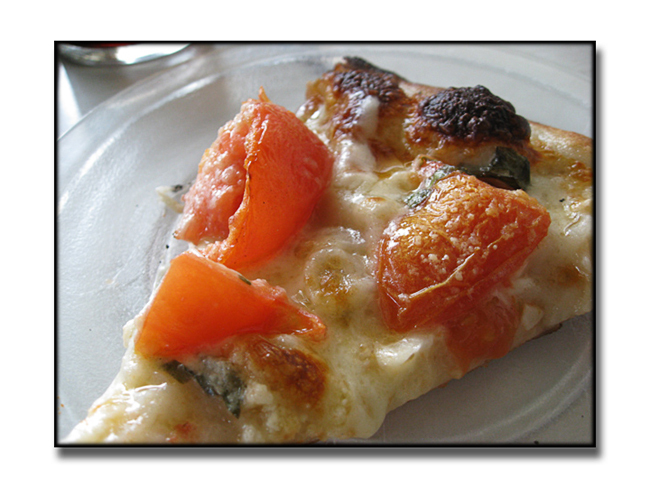 The pizza has a thin, crispy crust (but no coal-fired oven here) with a solid tomato sauce. Ordered the broccoli rabe/sausage--the peppery, bitter bite from the rabe a great counterpoint to the sausage. Kids ordered a plain cheese and a fettucini alfredo--both were perfectly good. I can't compare to New Haven's other highly esteemed pizza establishments, but Amato's might be the unsung hero on the scene. It's not famous, but it fit our bill just fine. in Brooklyn. Saturday, noon, long line.... But just in the nick of time 4 slices came up and we were in and out in less than 20 min. Bonus that the picky-eater did not want his slice, more for daddy! 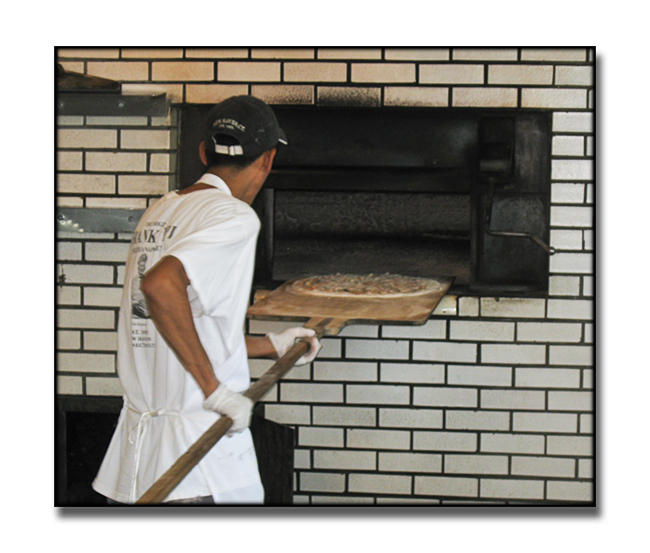 Does the Fairfield Pepe's have a coal oven? 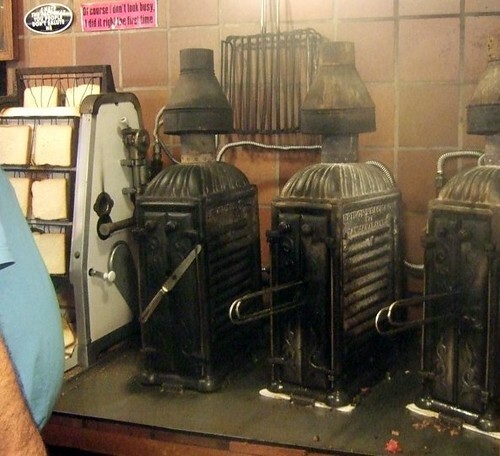 rickster wrote: Does the Fairfield Pepe's have a coal oven? Thanks! I will be traveling up and down the CT Turnpike in a couple of week and was thinking of stopping in. 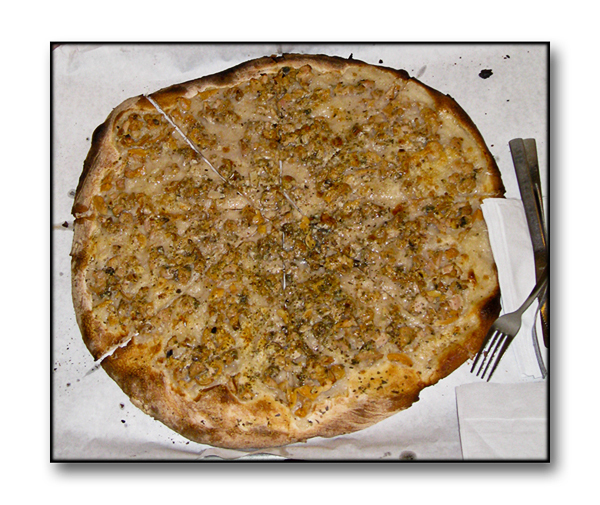 I went to Pepe's in New Haven many years ago and still remember how good the pie was. crrush, thanks for the report on Amato's. It sounds like a good alternative, especially when one might like to have antipasto or pasta. Only mediocre salad and great pie at Pepe's. That's fine most of the time. Lots of folks state a preference for Modern, including Mrs. Flip. Myself, I can't drag my brother Tom away from Pepe's, so I've not been to Modern - yet. Another SE Connecticut apizza place that's a favorite of my local friends is Roseland Apizza in Derby. The Sterns like their pizza, but I hear that lobster ravioli is the way to go. I hope to check it out one day soon. Although it is hard to see in Josepine's picture, the grills are under a hood so there isn't much smoke. If you look close you can see the ANSUL nozzles. This is the interior of the Manchester location. 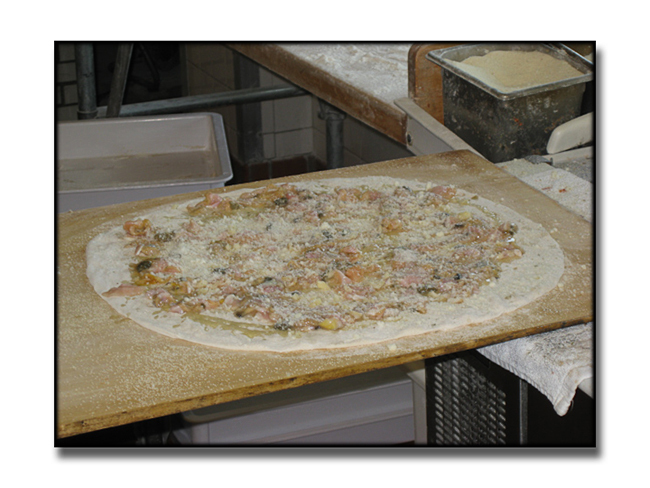 The restaurant claims that they built an exact replica of the New Haven pizza oven in Manchester. This apparently involved casting an iron oven door that is an exact copy of the original. Wow... there are exact replicas and there are exact replicas. I took this one a few hours ago at the original location... I wasn't trying to match your photo... in fact, I hadn't even seen it! Are you SURE yours is the Manchester location?!? I took my photo a little closer, so you can't see the counter, but it's also exactly the same. Anyway, realizing that we needed to get down there or miss out on the opportunity, we drove the two hours down to New Haven this afternoon to hit Pepe's. We did a white clam that was supposed to be a clam and bacon (I think our server didn't hear the bacon part), and a red with mushrooms and onions. I have to say, I thought both were spectacular. It wasn't paradigm-shifting pizza, but I didn't expect it to be. My rule for crazy overhyped "best in the country" type places is to expect excellence, but not transcendence. I don't believe any of our bread matched the thickness of your photo above, Josephine. It was all pretty darn thin, blackened in places and remarkably crispy all the way to the middle, even on the tomato and cheese-laden red, which remained crisp to the center for a good ten minutes after it hit the table. The clam was very oily, very garlicky and very delicious, topped with fresh clams (if fewer than I would have liked -- I'd gladly pay for double next time) and not a hint of grit. The red had such a wonderful, buttery quality that, as much as I was embarrassed to ask, I had to know if they'd snuck some butter in there somewhere. They hadn't. Something about the interaction of tomatoes and oil, I think. It's no mystery why there's so much noise about this place. I never got to Coalfire, so I can't offer a frame of reference, but I found this pizza really exceptional. Great to hear your take on Frank Pepe's, Dom. I am so glad you made time for the trip. I am going to have to check on the replica matter-- tomorrow evening. I did take pics at both locations, so, given the interval since my post, I am not certain. Thanks for the excuse- I had ricotta/mozzarella calzone in Westchester tonight, so without your help, I would not have been able to justify a pizza tomorrow night. BTW- you certainly are correct about the crispiness of the crust, based on my experience. In fact, I recently ordered a pizza with half sausage, mushroom, spinach and mozzarella, and half tomato sauce and anchovy (no cheese). Although I did not conceive of this order as a challenge, I realized upon eating it how amazing it was that the whole pie was perfectly cooked, crispy, not burned. in spite of the imbalance of toppings. I'll post pics tomorrow. Stay tuned. You were correct, of course. 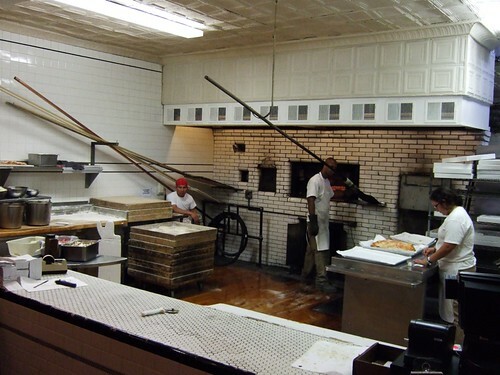 The photo I posted above is of Frank Pepe's New Haven ovens. I have not had a chance to download the photo, but I will post the Manchester oven ASAP. Also, this discussion would be nonsensical for future readers if I amend the original post, so I will leave it as-is. There have been some changes at Frank Pepe's Manchester location. Notably, there is a much improved salad option. Mesclun, pitted black olives, halved cherry tomatoes (no squirts) and a grating of purple cabbage with a balsamic dressing. Balsamic was slightly too sweet, but that's a quibble. Also, I had never noted this before, as I usually drink water or wine, but they have Italian gassossa as well as Foxon park sodas- including cream and birch beer. Finally, for those of you who will be in the NY area at Xmas, there is a new Frank Pepe due to have opened at the end of last month in Yonkers. Visit the website for details. Josephine, I've been meaning to thank you for all your Connecticut posts, some very familiar restaurants and some new (or new to me) restaurants in familiar locations. Somehow, you've managed to cover all three places I've lived in the state, including most remarkably Rockville/Vernon. Very enjoyable reading. Bump. Anything new I should know about CT pizza? Doing some work there, and reason #5,349 that my team is super--they asked me if we could do a pizza tour. I want to give them all a pizza map for the holidays. Sharon, where will you be staying? Lived in New Haven for a very long time ('80-91) and we definitely considered only Sally's and Pepe's in Wooster Square to be the real deal. Modern was one of the spots where we ordered pizza for everyday takeout or going with the kids but Sally's - ideally the tomato pie without mozzarella as one of the orders - was the ultimate. And none of that salad, etc nonsense to take up table space better used for more pizza. Given the lines, there were constant debates about the best ways to get a table or pickup without too many hours in the process - and I remember well when I was managing a Mayoral race how prized staffing the Wooster St event was since it involved a pre-arranged entry via a back door at Sally's and immediate seating. I'm a bit surprised by the new added Pepe's - at the time I was there, there were a few "Frank Pepe's" places outside the square that were not the real thing but started by rogue family members ... and definitely not the same quality. Josephine wrote: Sharon, where will you be staying? I'm working in Danbury but have a car. Sorry for the slow reply. If you are still there, there are a couple of places in Danbury that MAY be of interest, though I have not been to either. The Sterns have covered Connecticut extensively and you might want to take a look on Roadfood for a few places. A place I always wanted to visit is the Michael Stern-endorsed Goulash on Highland Street for Mom and Pop Hungarian fare, (I kind of always pictured a version of Smak Tak). The other is Atlantic Restaurant which suggests Steak and Seafood, but which is really a Portuguese place. The whole Litchfield County area north of New Milford is quite swish since an infusion of New York weekenders sought the hills as an alternative to the Hamptons ( I was one of those New Yorkers decades ago). There are more country inns and charm per square inch than I can sometimes stand. However, if you are looking for a getaway, the town of Washington, with its Steep Rock nature preserve is just wonderful for winter hiking or cross-country skiing. The Pantry there serves a good lunch, and it is not far from the Hopkins Inn and the Boulders Inn at Lake Waramaug, which are both lovely. A friend from that area recommends the Portuguese Restaurant Lisboa in Waterbury. Their website shows a few interesting dishes, including octopus with rice. Drescher's is a very old German place that has somehow survived in the downtown area, lending support to my theory that the lunch demands of lawyers and bail bondsmen have helped preserve restaurants in down-at-heel downtowns far and wide. This thread covers New Haven pizza, and I'd say that's a can't miss meal if you can arrange it. Hartford has been covered somewhat in other threads- I don't know if you plan to swing by that way. The Polish National Home is supposed to be terrific on Sundays. Thanks, Josephine. My pizza plans are temporarily on hold due to work conflicts, but I just had a surprisingly tasty meal at Rosy Tomorrow's in Danbury. It's like a TGI Friday's with real character and much better food. The inside, with the trapeze theme, Peanuts theme song alternating with Nicki Minaj, fortune teller mannequin, balloons and list of staff's (or regulars'?) birthdays in the menu reminded me a little of Kouks in Chicago. Somewhat surreal place that made me feel like I was a kid celebrating my birthday so...naturally, I ordered nachos and chocolate cake for dinner. Again, both surprisingly well-prepared. One colleague enjoyed his albeit dense and very rich filet sliders, and another colleague, a vegetarian, was pleased with his veggie burger stacked with fried onions. His sweet potato fries were particularly good--on the softer side but very sweet potato-ey. We also had some kind of house beer, maybe Rosy ale, that's actually made by a NY brewery, very pleasant winter-style drink. It's not pizza at Pepe's, but now I can't imagine a Danbury experience without a stop at Rosy's--this after just a quick dinner. Josephine wrote: The Sterns have covered Connecticut extensively and you might want to take a look on Roadfood for a few places. A couple of summers ago I was in Danbury and found the Sycamore Drive-In in nearby Bethel by way of the Sterns. A legitimate drive-in with hop service, and I remember enjoying a depression burger (single) and an onion burger (patty-embedded style), washed down by mugs of their frosty house rootbeer. Wish I'd gotten the franks'n'beans, looking at that picture in the Roadfood entry. Josephine wrote: The Polish National Home is supposed to be terrific on Sundays. Sure is. I'll have to dig up the pix I snapped there (you gotta see the place to know it) and hopefully Pigmon can help recollect the experience. On the Connecticut???? side of the discussion, if folks are driving up or down I91 in CT and passing the Rt 9/Middletown turnoff at breakfast or lunch time, head onto Main St in Middletown to O'Rourkes. This small diner serves up super and inventive diner food. I gather they have been on DDD but the kids and I used to go there often in the early 90s and it was just wonderful and very worth the stop. Siun wrote: On the Connecticut???? side of the discussion, if folks are driving up or down I91 in CT and passing the Rt 9/Middletown turnoff at breakfast or lunch time, head onto Main St in Middletown to O'Rourkes. This small diner serves up super and inventive diner food. I gather they have been on DDD but the kids and I used to go there often in the early 90s and it was just wonderful and very worth the stop. Thanks for the memory jog! 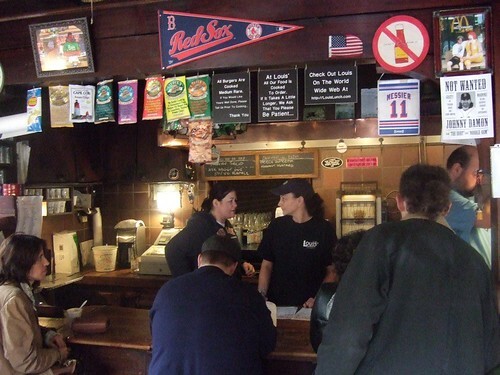 When I lived in Connecticut from '89 - '91, O'Rourke's was in our rotation, or as much of a rotation as poor graduate students could have. I honestly don't remember much about the food, which is more about me than it is about the food, but I loved the look of the place. It was always fun getting four people in a booth because of the size of the table. Good times! This thread jogged my memory ...neat to see they are still there with the same cook etc. They made great corned beef hash and all sorts of interesting flavor combos for omelettes before many places were doing such things as I recall plus great muffins. And it was cheap! There was also a family run storefront near there on Main that did amazing Italian Ice but I have no idea what that was called. I know Ed Levine is fightin' words around some of these parts but he did pique my interest with his Serious Eats piece on Zuppardi's Apizza and their freshly shucked clam pizza.